Logic vs Intuition: What does Einstein’s Riddle teach us and can his formula prove the existence of God? 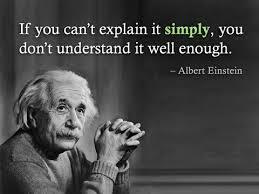 Einstein- the man who proved the existence of God. Yes, he did, and what he proved was not the existence of a religious figure, but of a Universal Force which is beyond human comprehension. How did he do it? His tiny formula is the key- E=mc². For me (and not only), Einstein is one of the most influential people of all times. He was a spiritual man in a scientific kind of way. The key to his success was his ability to combine logic and intuition. As he once said: “The intuitive mind is a sacred gift and the rational mind is a faithful servant.” We all have both logic and intuition within us, but they are both locked and we need to develop the ability to use them. However, the problem with most people is they use either one or the other. Those relying on logic deny intuition and those relying on intuition deny logic. And the true magic happens when we find the balance between them both. 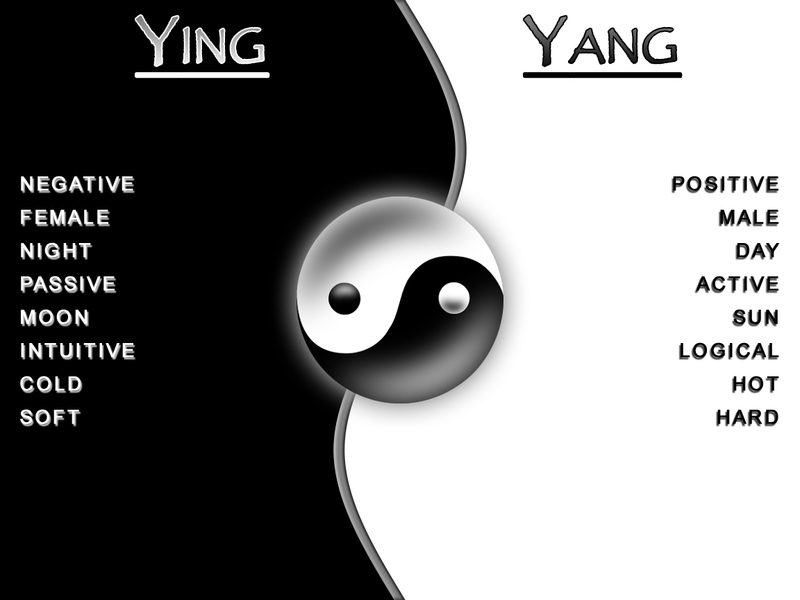 Like Yin & Yang. This is why Einstein was a genius because he found this balance. Last century, he created a riddle and said 98% of the world’s population would not be able to solve it. I personally don’t believe this is true and I’m not actually sure he even said it. But what I know is this is a unique exercise for your logic and intuition to work together. If you use just one or the other, you’ll never come to the right answer. 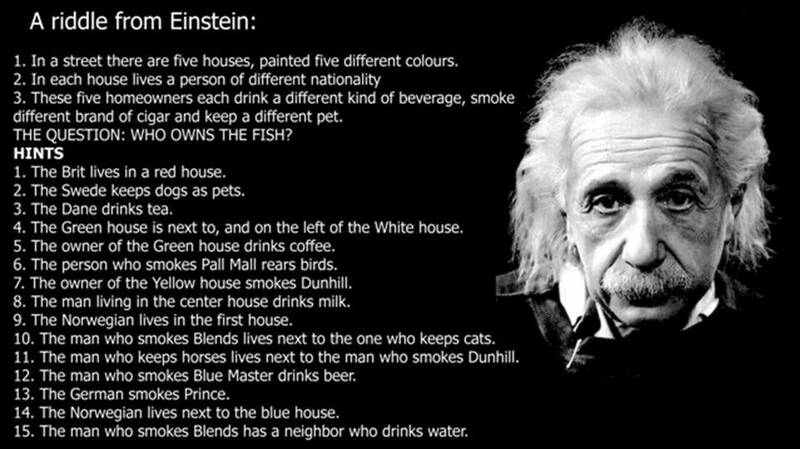 Try to solve Einstein’s riddle here or from the picture below and if you’d like to share your thoughts, feel free to do so by writing a comment below. So who has the fish?